This weekend, my husband and I took a short little trip to the Wisconsin Dells to go on a skiing/indoor waterpark/people watching adventure with some of our friends. I have only been skiing one other time, let’s just say I was traumatized after that and definitely did not expect to be skiing as much this time around. However, I was able to muster up the courage (read: liquid courage) and actually enjoyed myself on the slopes. After a weekend full of very strenuous activities, Wisconsin delicacies like beer bread (amazing), late night cards against humanity rounds, and beer drinking, I was not looking forward to eating or drinking anything heavy. Nor was I in the mood to slave away in the kitchen. So, I made THE EASIEST dinner of all time. 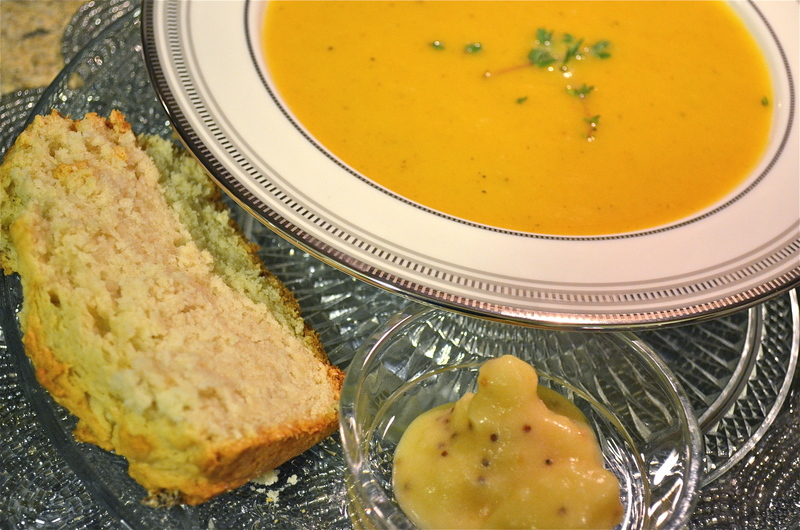 Butternut Squash Soup and Beer Bread with Honey Mustard Butter. Don’t forget to download the free printable recipe cards for these! 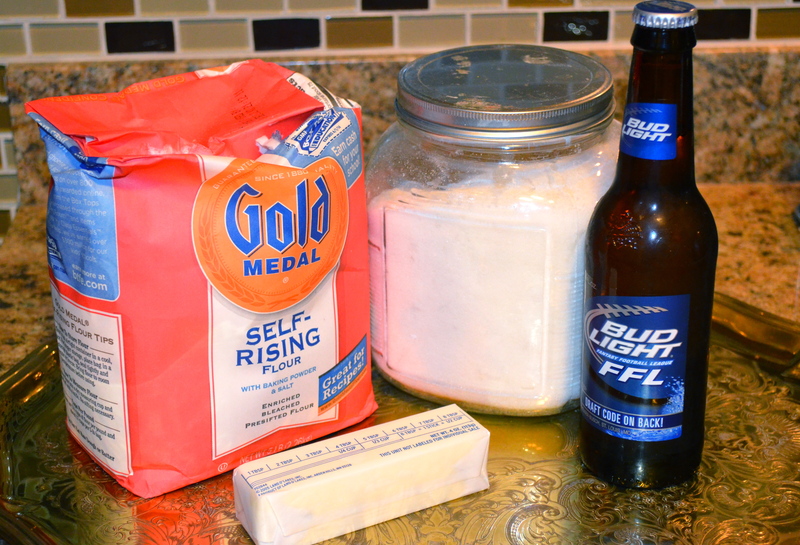 Start with the beer bread. 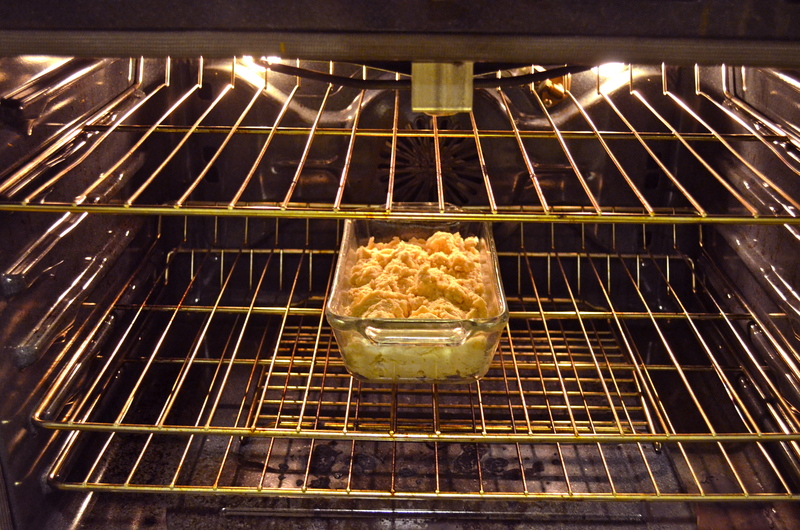 Preheat the oven to 375 degrees SIFT the flour. This is SO important, otherwise you will end up with a much harder bread. This allows it to be nice in fluffy. Mix until combined. DO NOT over mix. It will harden the bread, mix until flour is just mixed in. If there is a little flour loose, that is okay. 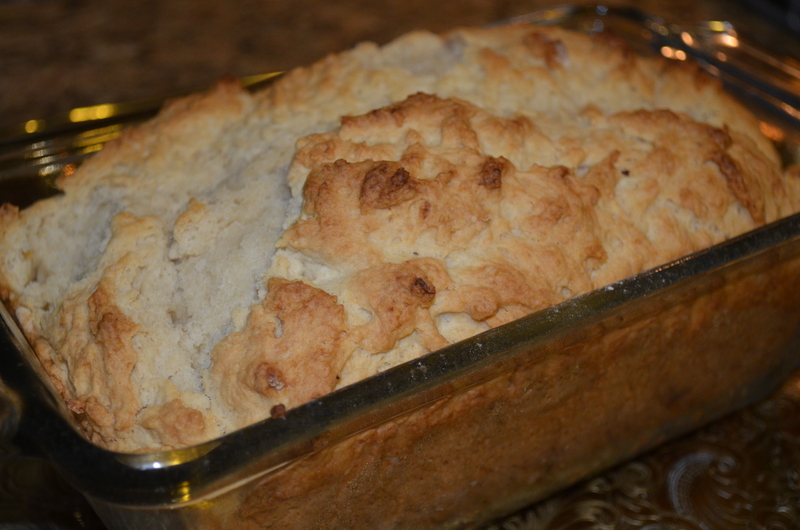 Put the dough in a greased bread pan and cook in the oven for one hour. 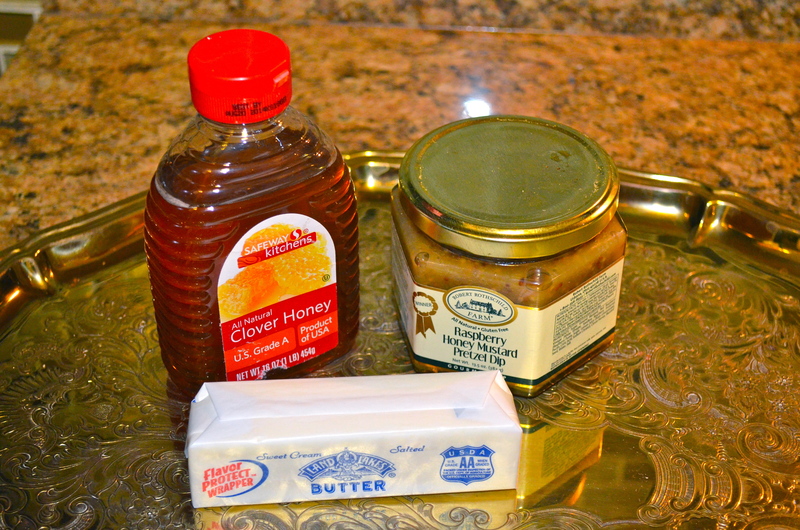 Start with 1/2 stick melted butter then just eyeball-it and add an equal part honey and an equal part honey mustard. I used raspberry honey mustard pretzel dip because I always pick up jars of preserves and dips at Homegoods for this exact kind of reason. 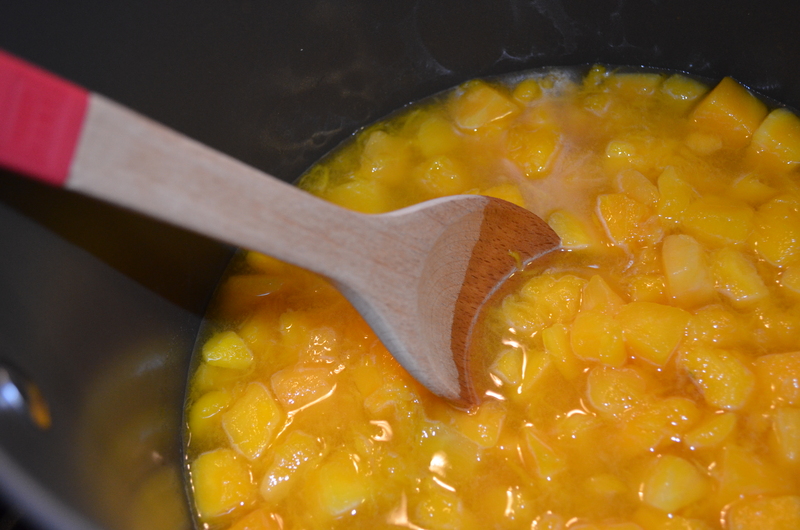 Once you mix it all up really well, put it in the refrigerator for about 30-45 minutes to let it cool. When the bread is finished and ready to be served, take it out. You will notice that the melted butter has separated and solidified a bit. 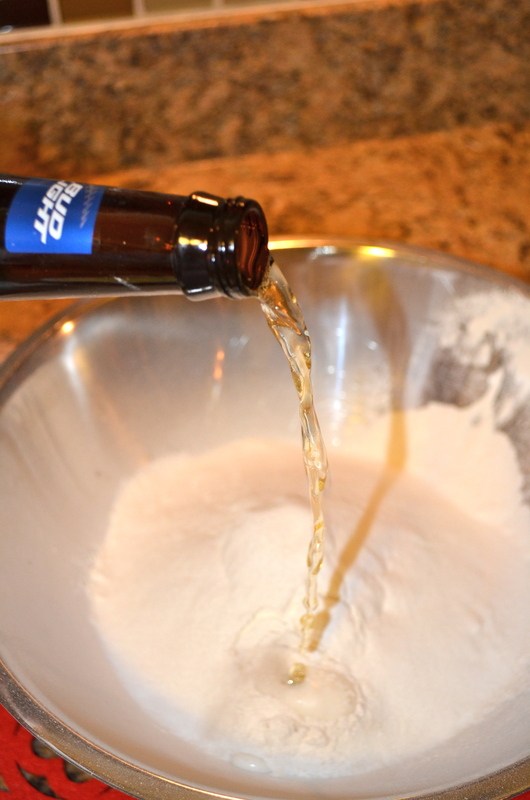 You will need to mix it back up to get a good consistency. 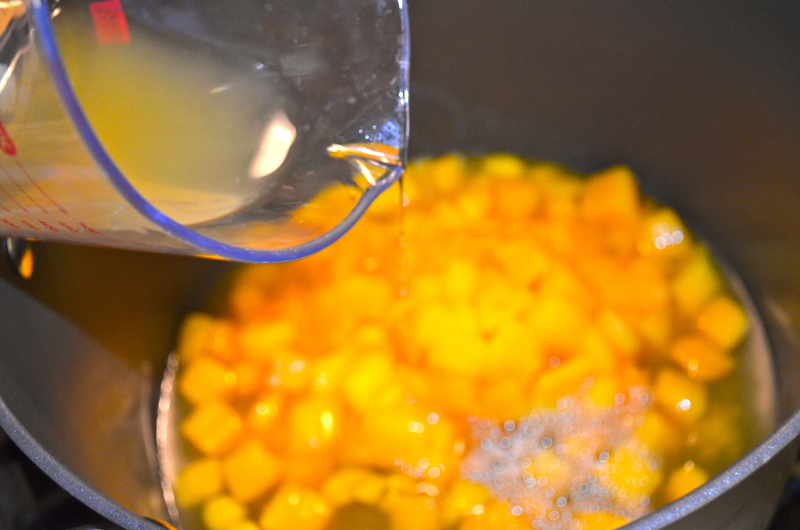 After the butter is in the refrigerator cooling, start on the soup. I got this recipe from my mother in law and this is seriously the fastest butternut squash soup recipe EVER. I tweaked it just a little bit because I am a BIG fan of cinnamon and vanilla and I added more pepper because I like it to be a little spicy too. Thaw the squash in the microwave per directions on package. Then put squash and chicken broth in soup pot: heat and stir. Add all of your spices (but not cream yet) Then simmer for 5 minutes. Add your cream and heat for 1 more minute. I like my butternut squash to be really really smooth. 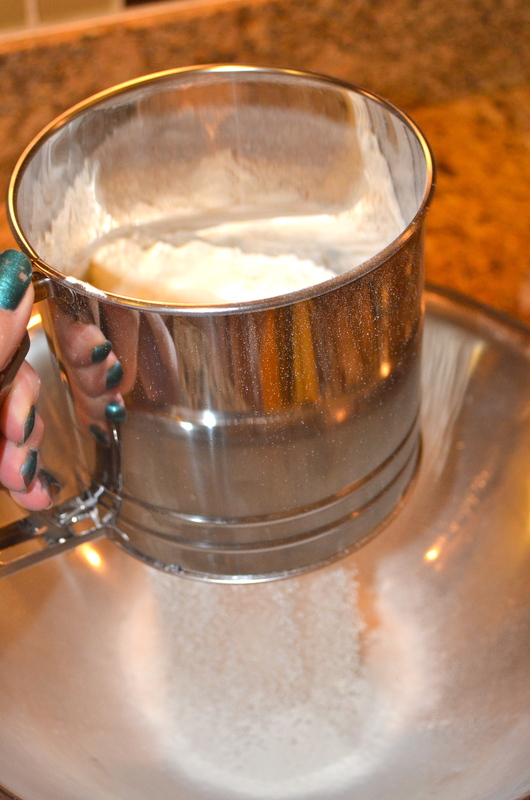 In order to get that texture you will have to put it in the blender and puree it. 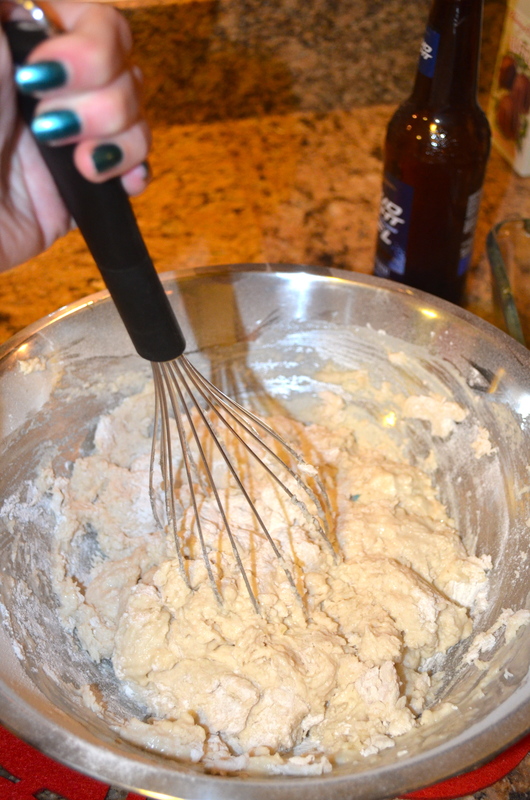 Then pour into bowls and serve with beer bread and honey butter. You can also serve this with shredded gruyere cheese and croutons, but I certainly had my fair share of cheese this weekend,so I skipped it. So there ya go. Super duper Sunday night dinner and I even have leftovers to bring to work tomorrow. MMM MMMM! 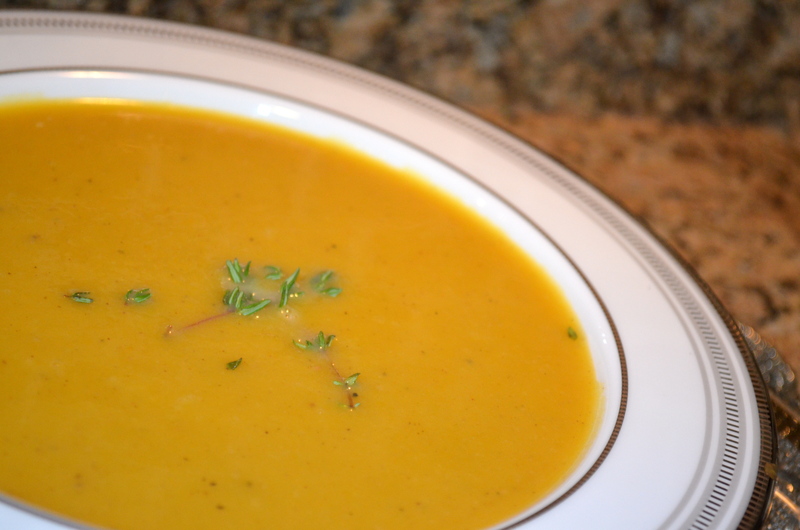 Butternut squash soup is my favorite! 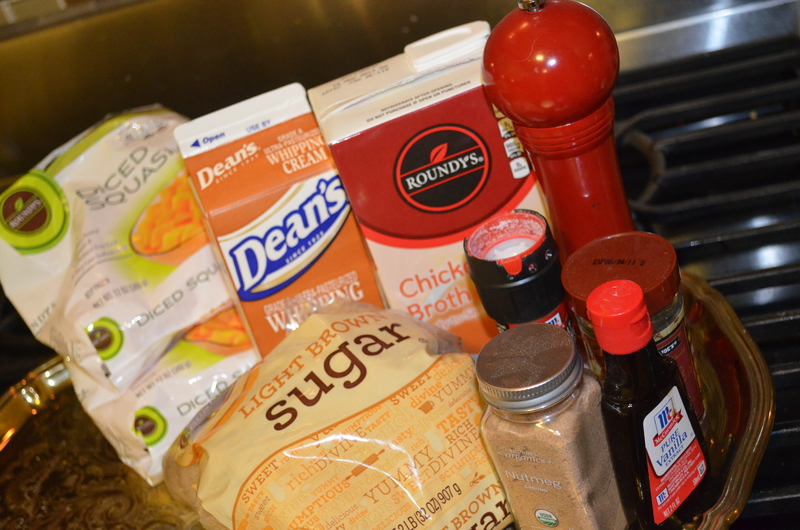 I’ve been trying to cook more often…look forward to stirring this up! And the free printable recipe is an awesome perk to add to my collection of family favorites. 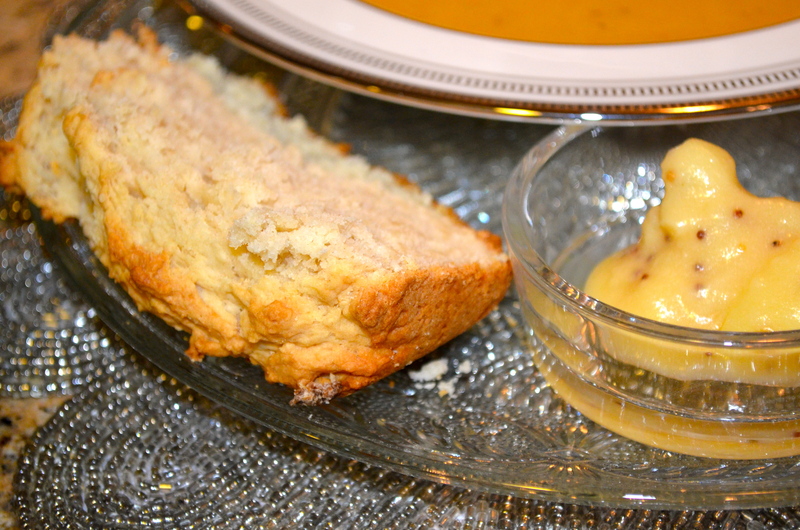 Thank you for this recipe….please continue sharing! Thanks! Cant wait to see what happens with In Medias Restless!